Lice Treatment 2018. Top 5 Myths Busted. Learn More Now! Lice Treatment 2018. First of all what kinds of lice can humans get? Head Lice, body lice and pubic lice. And yet there is only one kind of lice your child can get: Head Lice! Furthermore head lice only live on the human scalp and are not interested in anything off of a human scalp. In addition you will not find head lice eggs (nits) off a scalp. Head lice nits off of the scalp are no longer viable. Because a lice egg off a human head will not be warm enough to survive. Nits hatching off a human head will die immediately due to lack of food. Also you won’t find head lice walking around in your home, off a human scalp. Lice Treatment 2018. First of all what do head lice like to eat? Head lice have evolved to be exclusively interested in human blood. Furthermore lice take regular blood meals from the human scalp. 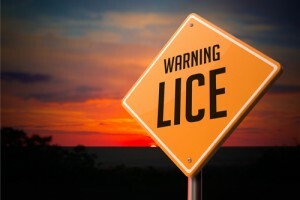 In addition lice leave saliva, an anticoagulant and an anesthetic at the bite site. As a result, 90% of the time, we humans don’t have any reaction whatsoever to head lice bites. Especially relevant humans are unable to feel the lice biting us. Therefore humans are very unlikely to experience head lice symptoms of any kind. However after 2 or 3 months of a head lice infestation, there is a tipping point in 10% of people with lice. That 10% of people will develop head lice itching. They will madly start to itching and feel like their scalp is on fire! Lice Treatment 2018. The only way to get rid of lice is to use a good metal nit comb such as the OMG Lice Comb. The OMG Lice Comb removes all of the head lice as well as all of the lice eggs, or nits. The nits attach themselves to the hair shaft using a kind of “lice superglue” and are very difficult to remove. Also the nits have camouflage in the form of iridescence making the nits difficult to see. If you don’t remove every last nit, then the lice colony on your child’s scalp can start up all over again. Lice Treatment 2018. Why can’t I see the lice or the lice eggs? Most parents over age 40 can’t see lice and nits. Head lice have developed clever ways to evade detection by the human eye. Lice have had thousands of years to figure out how to become difficult to see. The lice themselves are clear like jellyfish, so if you have head lice in your hair, you can’t see the lice because you will be looking right through them! Super Lice are in the news again! Super Lice are lice that have evolved to be impervious to pesticide lice treatments. New England families are scratching their heads wondering why head lice infestations are thriving right now in 2016. It turns out that most everyone is treating head lice incorrectly. Recent studies show that head lice are now genetically resistant to pesticides. Lice Treatment 2018. What can heck is head ice stigma? Head lice stigma means that parents don’t discuss head lice with other parents. This situation just gives the head lice more time to spread around your child’s community. 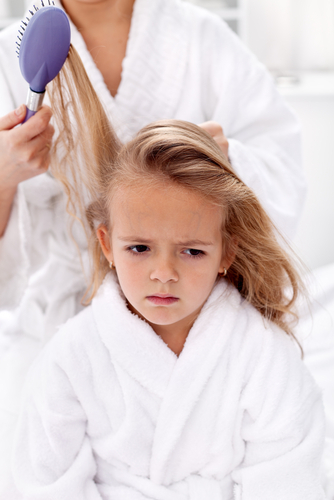 Parents are not aware that head lice transmission has taken place in their children. Super Lice is the new name for head lice that have developed 100% resistance to OTC lice treatments containing pesticides. Professional Lice Removal Treatment Boston allows you to get some sleep tonight! You deserve the peace of mind available from Professional lice treatment services. Call NitWits Today and sleep like a baby tonight. Lice Treatment 2018. You must remove every nit in your child’s hair in order to crash the lice colony and make sure that no more lice can hatch and start up a new colony. What’s the best way to remove nits? Picking nits with your fingers takes a long time and is not a reliable way to remove all of the nits. Why? Because head lice have had thousands of years to develop the most effective camouflage to be able to avoid being seen by humans. In addition the available lice treatments no longer kill lice. Lice Treatment 2018. Combing with a really good metal nit comb is the only reliable way to remove all of the nits from the hair. Made in Argentina, with laser-cut teeth that are exceptionally close together, the OMG Lice Comb is the best comb on the market for successful and complete nit removal. Get some of our OMG Lice Treatment Conditioner Solution along with our OMG Lice Comb and you can comb out all the lice and nits at home. Want help? Come on in to NitWits and we will do the combing for for you. We promise you will sleep well tonight!